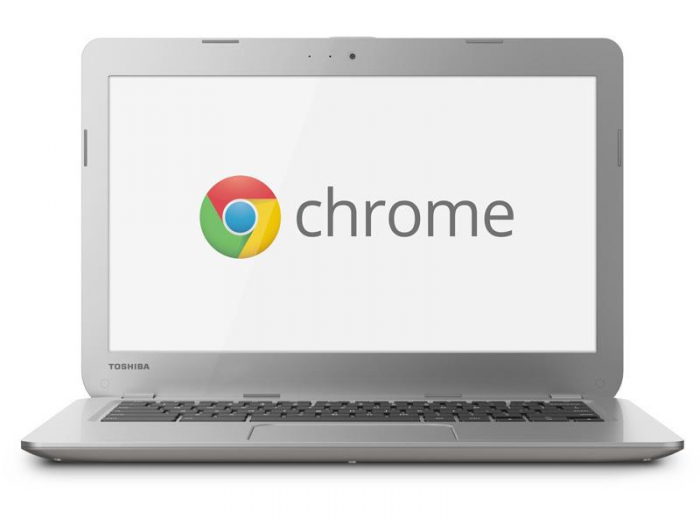 The Toshiba Chromebook 2 is an improved, no-fuss approach to laptops. Powered by Chrome OS, it's fast, easy to use right out of the box, there are no annoying updates and it comes with all your favourite Google apps. It boots up in seconds and breezes through the web at lightning fast speed, so you can do more while waiting less. The Chromebook 2 includes all the essentials for your needs. Powered by the reliable Intel processor, featuring a 13.3-inch diagonal HD screen, and equipped with two USB 3.0 ports, HDMI output, built-in webcam, security lock and SD Card slots, the Chromebook 2 is capable of keeping up with your everyday adventures. Less than 1-inch thin and weighing under 3.3 pounds, the Chromebook 2 is perfectly slim and portable. Built for the cloud, it lets you save and access your growing collection of files, photos and entertainment from your smartphone or PC, thanks to 100GB of Google Drive* online file storage space included. It also has up to 11 hours of battery life to help power through your day. Chromebook 2 features multi-user support so you can create a custom experience for each user. Free, automatic updates keep you protected from viruses and malware without having to purchase security software or installing manual upgrades. Designed with security, ease-of-use and speed in mind, the Chromebook 2 is the perfect work and play companion! * You will have 60 days to redeem the offer, following the date you first log into your Chromebook. 100 GB of free storage is for 2 years, starting on the date you redeem the Drive offer.Offer subject to change without notice – see Google Drive terms for more details.